Well you are if you find yourself in the Stampede City also known as Calgary. How’s that possible? You can find the best places to visit in downtown Calgary and one of those is the Central Library by the City Hall Station. The Central Library is one of the 18 branches of Calgary Public Library. It is a place for everyone. You can stop by any day of the week enjoy a book with a cup of coffee (or tea for me). And don’t forget the free events that will pique your interest in different subjects. OK so you are in the right place but what about the timing? Until 2018 anyone can get the chance to witness the construction (online) of the New Central Library in the East Village (Block 127, east of City Hall). Without holding a hot-lid-free coffee, it will only take you less than a minute to walk from the library’s current location to where the action is. Isn’t it exciting to have the chance to experience both the old and the new Central Library. You’ll be a great storyteller. So to have a “time travelling” story to share let’s get to know more about the changes in the Calgary Public Library. Bill Ptacek, CPL’s CEO, unveiled the new website of the Calgary Public Library and visual identity on 2nd of January. I loved the clean, minimalist, and responsive design. You can visit the website whether through mobile phone, tablet, or desktop; everything fits on your screen. So go ahead and have a look at the CPL website. Before you have the hard time choosing which book to check out first among the overwhelming collections, you must first get your free membership. I renewed my membership last year. When I found out about the free membership I made sure that my friend will also become a new member. She did and was able to choose the design for her new library card. Residents of Calgary can register for a free membership online or in person in any community library. For non-resident membership, the annual fee is $112.00 which covers all family members living in the same address. So get your card now or renew the membership. Don’t forget to share the news to others. You’ll definitely get a lot of startled look just by saying “CPL membership is free” then you can go on telling them what they can get also for free with their new card without even leaving home. Curious all ready? Just keep going. Borrow books, e-books, audiobooks, DVDs, and CDs. Put items on hold or add to shelves. Those are my favourite features. You can explore the other features of the app whenever and wherever you are. One more thing that is note taking: it’s almost impossible to have overdue items. Two days before the due date, an email is sent reminding the borrowers to return the due items. If you don’t have time to drop off at the library or want to watch the movie again (because you slept halfway like I am), you can just use the app on the spot. No more fine. And more free stuff. This is my favourite. I can multitask while listening to audiobooks and music but not when it comes to watching movies. But I prefer to watch on the desktop and sometimes I use HDMI cable from dollar store (it does work) to connect my laptop to the TV for movies I (intentionally) missed watching in theaters. You can download (only for mobile app) and stream musics and videos with Freegal. With this app you’ll likely do the laundry or tidy up without complaining but it may take some time if you get caught up in the chorus. This year I’ll take the time to read Readers’s Digest Canada using Zinio although I admit I still like to flip through the pages. I only mentioned the apps I often use. 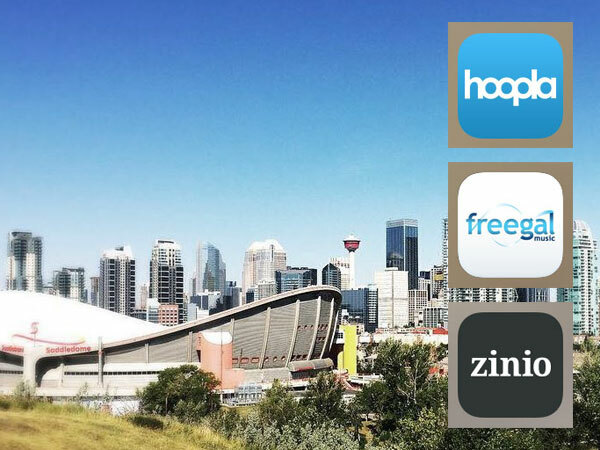 You can learn more about the other apps and services through my blog post What You’ve Been Missing in the Calgary Public Library. Whether you are a newcomer in Canada or not I’m sure you’ll discover more than what you are looking for. The free membership, added learning materials, rental-free room and continuous improvement in all the 18 branches of Calgary Public Library are made possible through donations and funds. The library never stops changing to meet the desire of Calgary residents to learn, to teach, and to interact. The best part is that you can be a member and a supporter at the same time. 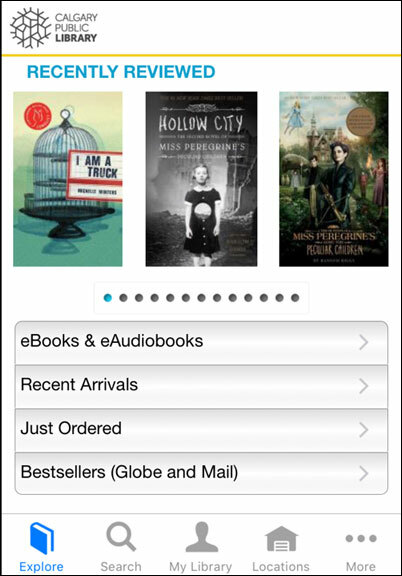 You can support the Calgary Public Library by donating or buying on the online stores. For only $10.00 you can have the 20,000 Books Under The Bow Stylin’ T-Shirt. More items are on sale and all are adorned with CPL logo. It will take some time before we step into the New Central Library, the world class learning hub in Calgary. But with all the support from you, from everyone, the future is not too far. So I’m leaving you with this video. Imagine yourself (in 3D if you like) reading the best-seller book inside the best library in the world, of course, with a cup of coffee or tea. Start living now the future we are all part of building. Learn and share as much as you can. What do you like best about the Central Library? Is there a service would you like to have in the new library? Share your thoughts. « Are You Traveling With Expired Philippine Passport?